Priyanka Chopra's & Nick Jonas just sold their wedding picture rights for 2.5 million! - here are all the recent details of #Nickyanka Wedding! Priyanka Chopra and Nick Jonas have literally been painting the town red ever since their roka and looks like they are gonna be trending for months to come. After I was just recovering from her bridal shower in New York City and then flying down to Amsterdam to paint the town all shades of red during her bachelorette, there has been some interesting development! 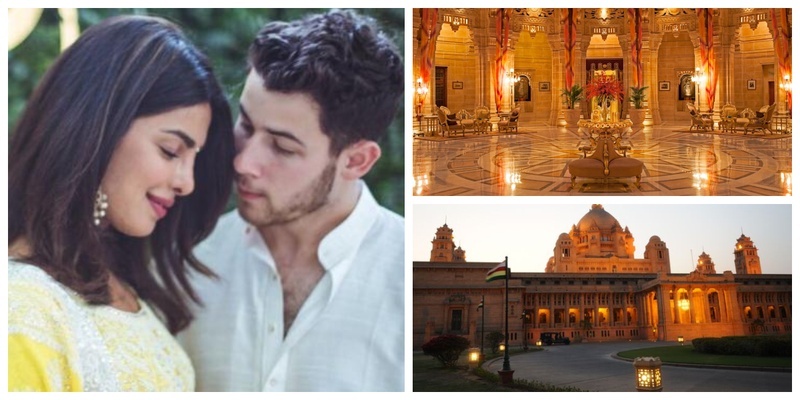 The couple is going to get hitched in Umaid Bhawan in Jodhpur, Rajasthan in a very regal fashion in the last week of November and it’s going to be a Hollywood-Bollywood version of a royal wedding. Reported by yours truly already!!! Also, it comes as no surprise after all, their entire relationship has been totally fairytale-esque. Although the latest buzz goes by - “the couple has sold the rights to exclusive images to an international publication for a staggering 2.5 million dollars (Rs 18 crores)!”, reports a source. YES you read that right. P.S. - The palace has 347 rooms and boasts of being one of the largest private residences in the world. It's also supposedly considered the top three hotels on the planet. Yep, ON THE PLANET. The wedding will be a lavish affair and festivities will last a whole week. There will be a Christian ceremony before the madness of the desi shaadi begins! A source close to the couple explained sais, “Nick will wear ivory and Priyanka will be in red, while the bridesmaids will wear Ralph Lauren outfits for the Christian wedding, because the couple wore the brand at their first public appearance together at the Met Gala last year," the source said. Well well, can't really wait for this Hollywood-Bollywood Royal Wedding already!